So what can be done? At WIRED Smarter some of the smartest minds in the energy world came together to explore what the future of the energy industry might look like. Here’s the best of what we learned from a packed speaker line-up that included Bulb CEO Hayden Wood, Verv COO Maria McKavanagh and DeepMind’s Sims Witherspoon. “We will need to reduce CO2 in the atmosphere,” if we’re to stop the most extreme impacts of climate change says Jan Wurzbacher, founder and director of Climeworks, a start-up that builds infrastructure to capture carbon from the atmosphere and lock it deep underground. Ever since the Intergovernmental Panel on Climate Change and United Nations Framework Convention on Climate Change were established, the UK has been on a journey – a journey to become a low-carbon nation. 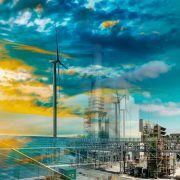 The recent announcement of the Streamlined Energy Carbon Reporting scheme (SECR), designed to help businesses as they become more energy conscious, is just the latest stage in this transition. The SECR is a proposed new reporting scheme from the Government. It is set to replace the Carbon Reduction Commitment (CRC), which is due to end in 2019. It aims to use energy efficiency as a mechanism to help increase business productivity. And it will also improve the security of energy supplies, as the goal is to reduce current use by at least 20 per cent before 2030. So who will this affect and what will it involve? SECR is aimed at companies with at least 250 employees or an annual turnover greater than £36m, as well as an annual balance sheet greater than £18m. The number of companies reporting into the SECR will include those in the Energy Saving Opportunities Scheme (ESOS), taking the number of businesses involved from 1,200 to 11,900. If you fall into this category then you’ll be automatically entered into the scheme and your energy use, carbon emissions and energy efficiency actions will be made publicly available, with a suitable intensity metric for reference. What does this mean for these businesses? For those who aren’t already on their energy efficiency journey, SECR will likely mean additional administrative costs. But if 20 per cent improvements in energy efficiency can be achieved, that can have its own financial advantages. 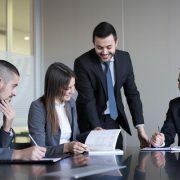 An energy management system that encompasses people, process and technology will make reporting for regulatory purposes a much smoother process. But companies should go back to the basics of energy management and analyse their operations to understand the meaningful and sustainable changes they can make. Start everyone from across your business talking about energy. Make sure to get buy-in on any new initiatives from your senior management. After all, without their commitment, energy management may falter and can be marginalised. This should: set an objective, define targets, develop an action plan, establish accountability, ensure continuous improvement and ensure compliance. As they say, “to measure is to manage”. Understand your past and present energy performance in order to establish benchmarks and begin understanding your energy use patterns and trends. SECR will be a good starting point. This will help you identify areas of energy savings within your organisation, whether this be by engaging staff, streamlining processes or installing energy efficient technology. Perhaps all three. So dust off that ESOS report or energy survey or perhaps take a fresh look and audit all aspects that affect energy performance: people, process and technology. Make sure to prioritise your projects and get them done. Keep an eye on the results of your projects and communicate these to your senior management. It might make justifying capital expenditure easier in future if your energy projects have a proven record of delivering savings. So, sit back, relax and reap the rewards…but don’t get complacent, always strive to improve. Ultimately, the best thing businesses can do is to get on board the energy efficiency band wagon as soon as possible. 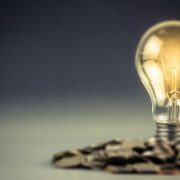 Energy efficiency is beneficial to all businesses, including SMEs, as it removes unnecessary costs from your business. By understanding where your starting point is, you are already on your first steps to helping the UK’s clean energy agenda, as well as becoming a more cost-effective business. Taiwan’s emergence as an energy investment destination could create new openings for Taiwanese companies far beyond the energy sector, as Asia’s thriving economies need energy, international law firm White & Case LLP said in a report yesterday. The government aims to end nuclear power generation by 2025, by which time 20 percent of electricity should be generated from renewable sources and 50 percent from natural gas. Offshore wind is a key component of the plan, with ambitions to install 5.5 gigawatts of offshore wind capacity by 2025. 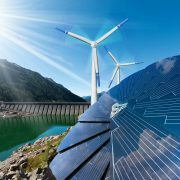 With the growing cost efficiency of renewable energy and the emerging viability of battery storage technology, energy generation is nearing an inflection point, the consultancy said, adding that the shifting market dynamic in the oil-and-gas sector has seen liquid natural gas-to-power emerge as a viable alternative to coal-fired power generation in Asia. Lower barriers to entry in renewables have given rise to a new breed of developers and investors who compete confidently against the traditional energy utilities and drive innovation in technology, development strategy and capital, it said. Interest from international investors and financiers in the Taiwanese offshore wind sector has been intense, with market participants enthusiastically jockeying for position, it said. Factors that help differentiate the local offshore wind sector from other Asian markets include strong government commitment, a transparent pipeline of opportunity, attractive feed-in tariffs and the potential for Taiwan to serve as a foothold for firms looking to build a presence in other emerging offshore wind markets in Asia, the consultancy said. The investment-grade creditworthiness of Taiwan Power Co (Taipower, 台電) also lends significant support to the industry, it said. In addition, there is no competition from firms from China, the largest offshore wind market in Asia and the third-largest in the world, White & Case said. Still, a gap remains between ambition and practical delivery in the region, most noticeably because of slow and opaque approval processes, it said, adding that a lack of coordination among government authorities has also led to disappointments. A key aspect of international involvement in the Taiwanese offshore wind sector is the pursuit of limited-recourse project finance, it said. This means that financiers lend solely on the basis of the project and its cash flows, without additional financial guarantees from the project developer, it said. Karanovic & Nikolic has released the September 2013 issue of its Regional Energy News publication, which covers the following regions: Serbia, Macedonia, Montenegro, Croatia and Bosnia & Herzegovina.